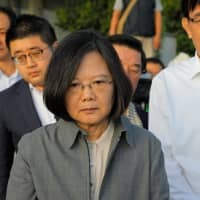 YILAN, TAIWAN - Taiwan President Tsai Ing-wen on Monday pushed for a swift investigation after an express train derailed Sunday on a coastal tourist route, killing 18 people in the island’s worst rail accident for 27 years. The crash on the popular east coast line, which left the Puyuma Express lying zig-zagged across the tracks, also injured 187 passengers. Among those who died, the youngest was nine years old. 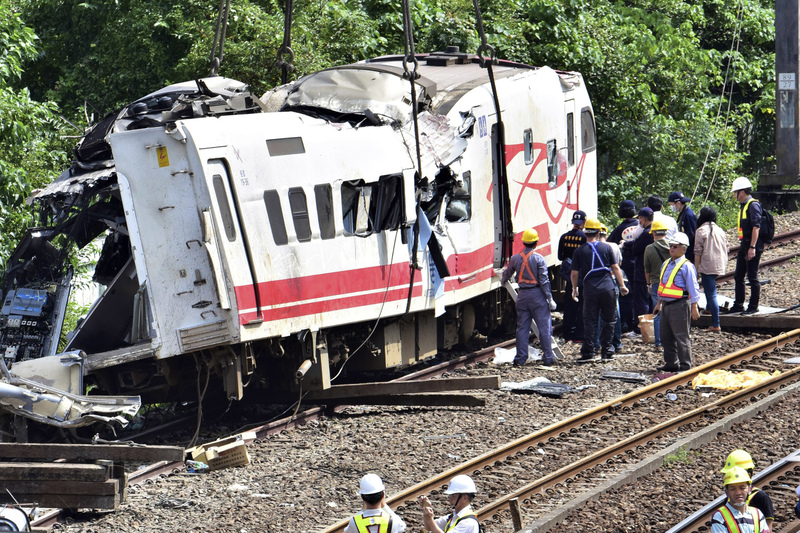 Two students aged 12 and 13 from a junior high school in Taitung — where the train was headed — were also killed, according to the Transport Ministry. Officials said Monday that a small number of passengers were still unaccounted for and that the search effort was continuing at the accident site in the northeastern county of Yilan. Cranes were brought in overnight Sunday to lift the Puyuma Express coaches away from the southbound track. All eight carriages derailed and five had flipped onto their side. Crane operators said at the scene that work had been hampered by wet ground due to recent rain, so stabilizing platforms were being brought in for the cranes. Tsai arrived early Monday at Xinma Station, near where the train derailed. 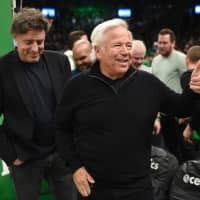 “Everyone is concerned about the cause of the incident and I’ve asked prosecutors to clarify the situation … and the cause soon,” she told reporters. Tsai offered words of comfort and encouragement on Monday as she met relatives of the dead and injured. “We are really sorry . 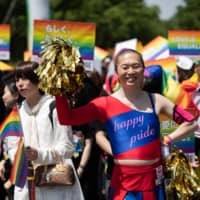 . . you have to stay strong,” she told Chen Yu-chan, 41, whose only daughter, a seventh grader, was killed. 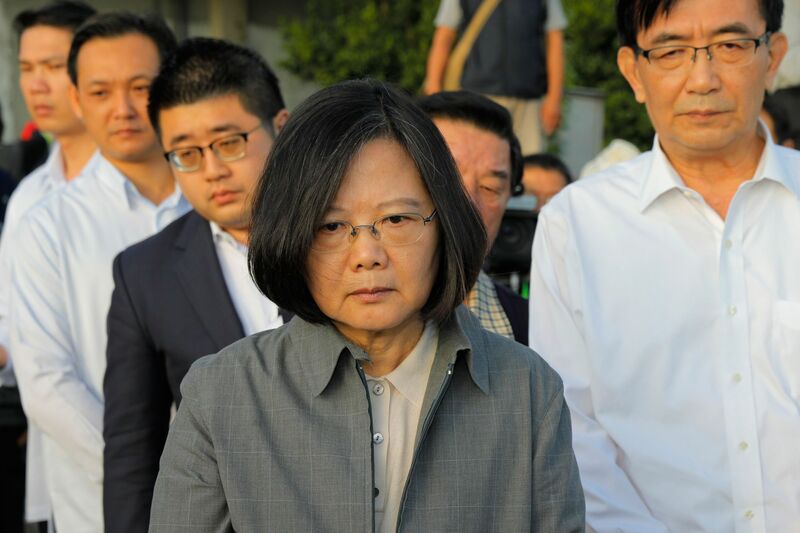 Tsai also thanked the international community, including the United States and the European Union, for expressing condolences over the incident. Health authorities urged people to urgently donate blood to help treat the large number of injured passengers. One foreigner, an American, was among those injured in the disaster, and six of the dead were under the age of 18, local authorities said. Train services resumed early Monday, after all the derailed carriages had been moved to one side of the tracks. It is unclear what caused the crash, and authorities said they have launched an investigation to find out. “The train was in pretty good condition,” Lu Chieh-Shen, deputy chief of the railway administration, told a news conference late Sunday. The train, operated by the Taiwan Railways Administration since February 2013, uses cars made by Nippon Sharyo Ltd., a leading Japanese manufacturer of railway carriages. A Nippon Sharyo representative declined to comment Monday, saying company staff in Taiwan are still gathering information. The derailment is not expected to cause any major economic impact. Video footage of the aftermath of the crash, broadcast on local television, showed passengers smashing a window from inside and kicking it out to escape. 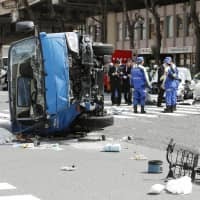 Some rescue workers gave first aid to the injured, while others used cranes to lift some of the battered cars sprawled in a zigzag fashion near the tracks. “The train stopped twice and we were told that there were problems that needed repair but the train restarted not long after,” one passenger who identified herself as Mrs. Chiu told reporters. “The train was going very fast. I thought to myself: Why was it not slowing down on a curve?” said Henry Tseng, who was riding in one of the carriages and suffered eye injuries. Tung Xiao-ling, 43, sobbed as she said how she had lost eight of 17 family members — aged nine to 67 — who were returning from her sister’s wedding celebrations. “Why did it happen?” he asked after speaking to Tsai. The crash was the worst rail accident in Taiwan since 1991, when 30 passengers were killed and 112 injured after two trains collided in Miaoli, in western Taiwan.